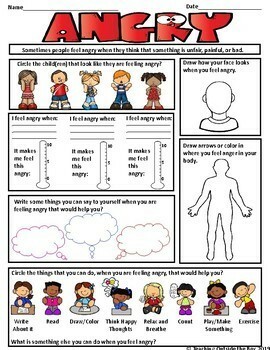 These worksheets will give your students a thorough understanding of 14 different feelings and emotions. 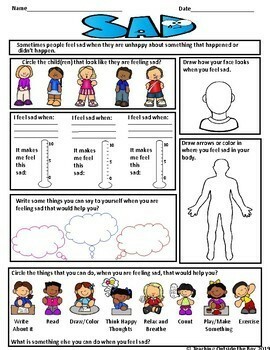 Included in each worksheet are the following feelings and emotions: angry, confused, embarrassed, sad, shocked, scared, shy, worried, disappointed, frustrated, bored, jealous, anxious, and depressed. 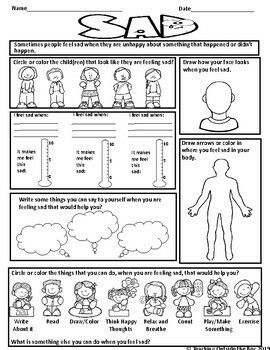 The worksheets are also available in B&W.